With this Transnational Cooperation (TNC) project 7 Local Action Groups (LAGs) intend to preserve bees as pollinating insects, thus acting in favour of biodiversity. While sharing the objective, they represent different territorial characteristics. Scientists estimate that the survival of more than 80% of plants species depends directly on pollinating insects, and most particularly on bees. Any major decline of the pollinating insects’ population would therefore have a dramatic impact on biodiversity and related economic activities, especially in the food industry. Since honey bees are sensitive to their environment and as colonies can be monitored, they are considered major “bio-indicators”. Preserving bees and their environment will therefore benefit all kinds of pollinating insects, animals, and ultimately all human beings. The project's objectives are to: i) limit the poisoning of pollinators through chemicals (e.g. fertilizers, fungicides, insecticides); ii) ensure the availability of sufficient quality food for pollinators, especially during critical periods of the year like autumn and in geographical areas lacking biodiversity due to the agricultural landscape (i.e. monoculture), town and country planning, etc; iii) support the bee-keeping activity to maintain domestic bee populations; and iv) inform and raise awareness among the general public in order to influence practices in agriculture, and the maintenance of public space by local authorities and of private people’s gardens. Each partner LAG runs its own local activity programme, based on the project's three joint priorities: i) land management actions, e.g. 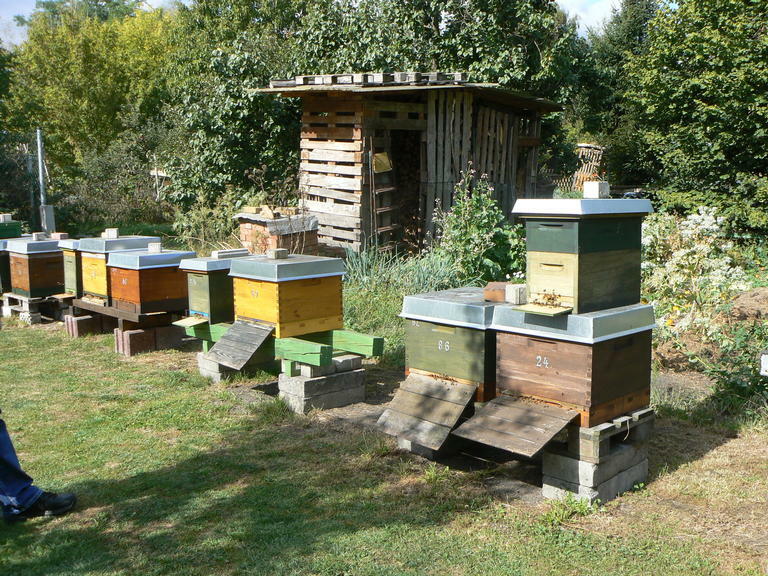 planting and greening schemes; ii) beekeeping activity and economy, e.g. promotion of products, installation of beehives; iii) information and education to raise awareness among the general public. Local results, methods and lessons learned are shared through the project's 3 components of joint actions, i.e. common events; internal and external communication. The participating 7 LEADER areas expect first and foremost added value from sharing experiences and solutions elaborated throughout the project. This will be facilitated by ongoing communication and the organisation of common events, including visits, seminars, conferences and the participation of local stakeholders and professionals. A website will be developed to support capitalisation and transfer, presenting the project partners, their areas and the methods they have applied to preserve bees and other pollinating insects. Eventually, the capitalisation of different experiences can provide inputs to public policy for any rural area interested in the preservation of bees and biodiversity. The partnership prides itself for the great motivation of all partner LAGs and the strong involvement, which local stakeholders displayed so far in the course of preparing the local as well as the common actions of this Leader TNC project. The international dimension, the potential for new partnerships and networking, and the diversity of local actions, issues and solutions are seen as the main reasons for the great support the project has experienced so far.